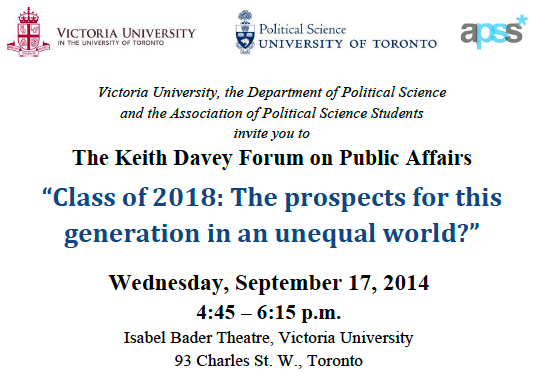 On Wednesday evening, September 17th, I was at the University of Toronto as one of the panelists participating in the Keith Davey Forum on Public Affairs to discuss “The prospects for this generation in an unequal world”. You can watch the full event, which also involved Jeffrey Arnett and Rod Haddow, by clicking on this link. If the old adage for investigative journalists looking for the answers to a puzzling question is “follow the money,” then the equivalent for an economist is: “watch the prices.” And the price relevant for a discussion of career prospects is the wage rate. Average wage rates have more than doubled since the peak of the baby boom in the early 1960s. Many grandparents and parents of 30 somethings were accustomed to steady pay raises, and likely held a vision that the future would hold more of the same for their children. 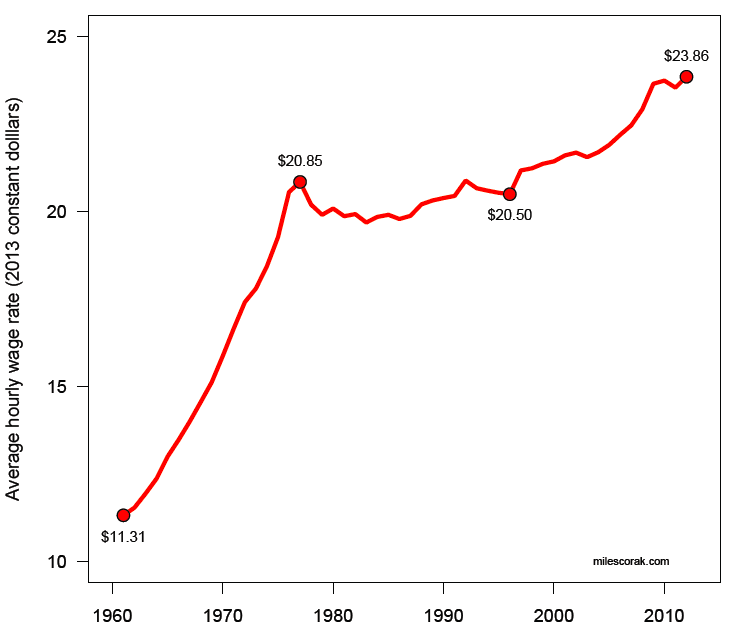 In 1961 the average wage in Canada was just over $11 an hour, by 2012 it was approaching $24. Fifty years of productivity growth mean that Canadians, on average, are a good deal better off. This is certainly one basis for possibly different world views between boomers and millennials. Parents and grandparents naturally point to their own experience, and some may argue that young people have never had it so good. But their different vision may also be rooted in a more optimistic view of the future, or at least of what the future held for them when they were coming of age. Hard work and steady employment paid off in a reasonable and a growing standard of living during the 1950s and 1960s. To them any job was a good job, offering, at the very least, a stepping stone to something better. They might reasonably wonder why their children and grandchildren don’t work as hard. But the more than doubling of the hourly wage during the last 50 years occurred almost entirely in the period before 1977, rising from $11.30 an hour to almost $21 an hour in 16 years. Between 1961 and 1977 Canadians received a $9.50 pay raise, but nothing at all for the next 20 years, and then barely $3.30 during the 16 years between 1996 and 2012. Young Canadians may well not share the same vision of prosperity their parents and grandparents may have held when they were the same age. It seems to me that to understand the future earnings prospects of young Canadians we need to understand what determines the growth of average wage rates, and whether we can expect the future to have more or less promise than the past. But average, as the title of one recent book suggests, is over. It has always been the case that earnings prospects vary by occupations, doctors making more than cashiers. But it is also increasingly clear that this variation has widened, inequality is higher now than it was a generation or two ago. As a result the future likely holds both greater opportunities, perhaps unparalleled opportunities, but also greater risks. 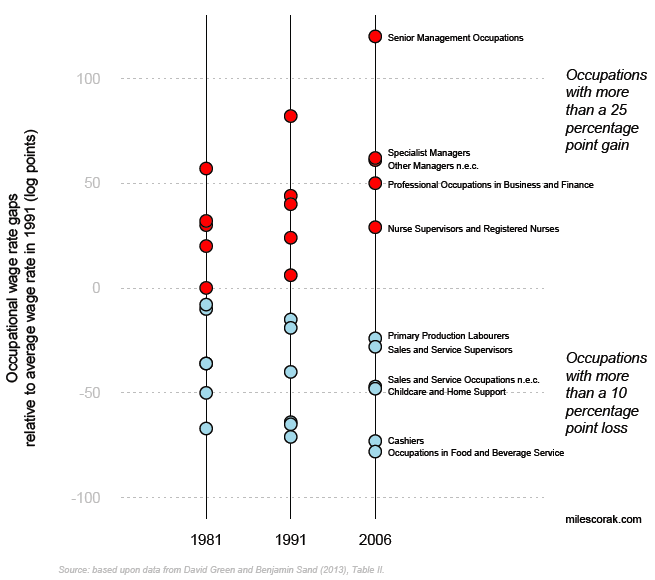 In 1981 senior managers, one of the highest paid occupations, earned about 3 1/2 times the rate of cashiers, and servers in restaurants and bars, the lowest paid occupations. Fifteen years later they were making almost 7 1/4 times more. Generally, workers in occupations with above average paying occupations experienced relative pay gains, pulling further away from the average. 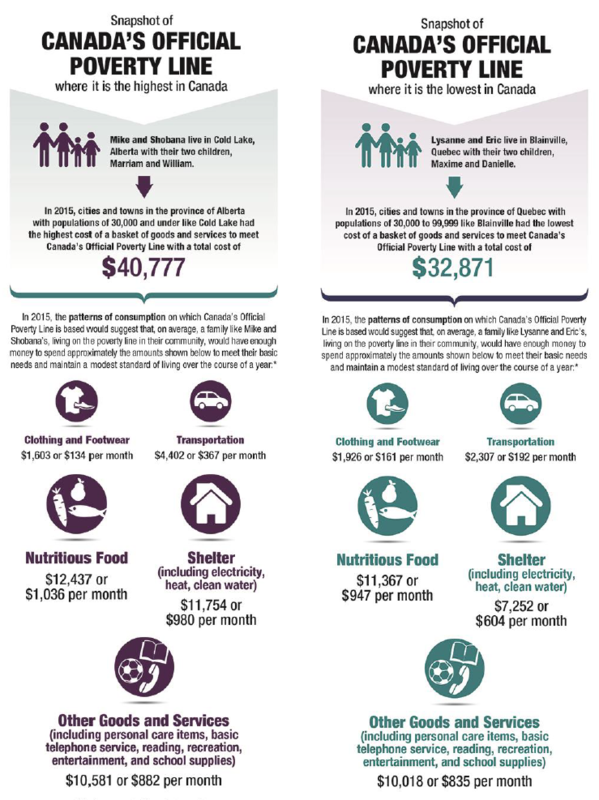 Source: derived with data from David Green and Benjamin Sands (2013, Table II), using Statistics Canada, Census of Canada. Note: the vertical scale is based on log point differentials, and approximates percentage point differences for differences of about 20. It also seems to me that to understand the future earnings prospects of young Canadians we need to understand what determines the inequality of wage rates, and how these forces will unfold in the coming years. Today’s young people want the same thing that their parents and grandparents wanted: a sense of prosperity, of growth, of hope for betterment; and a need for security, of insurance against the unforeseen. 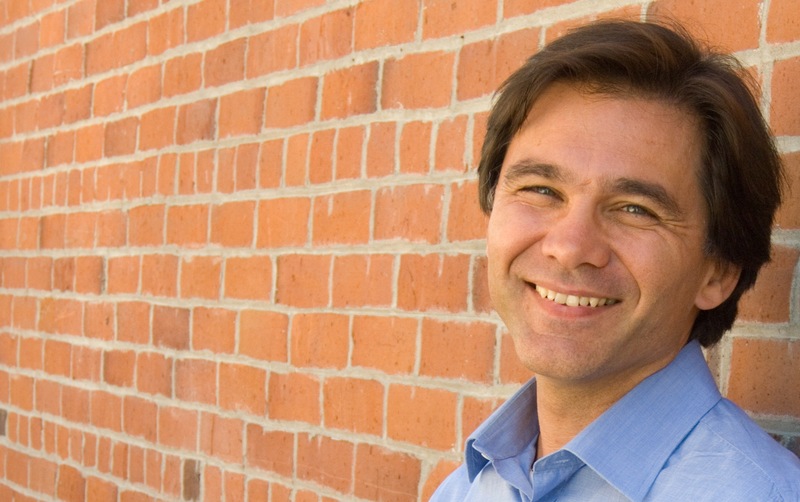 But the context in which they live is very different, and likely to be increasingly different. Relative prosperity comes with greater risk, and security can’t be found entirely by self-reliance in the job market. This implies two things: if outcomes are more unequally distributed, it is all the more likely that many of the young will be increasingly concerned with fairness in the process determining access to good jobs. But they could quite reasonably also be concerned with fairness in outcomes, with the differences in wages and earnings not becoming excessive. If public policy makers are to speak to these concerns they need, in the least, to be more creative in providing insurance for unseen job market events, regretful educational and occupational choices, and family disruption. They will need to be creative both in the type of risks that Canadians collectively choose to cover, but also creative in the sense of doing so in a way that continues to promote labour market engagement. I’ve told my kids for some time that I see a future where only about 15% of the population will have a comfortable life, and 85% will economically struggle. I suggested they do everything they can to be in that 15%. (I did not say 1%). Discussions of fairness are fine, and in fact I have found for at least the last ten years that the profit growth of corporations to the exclusion of jobs and better wages to be socially undesirable. But for all the discussions, I don’t see any change in that trend. Taxes may be raised and more welfare handed out, but that has its own negatives. interesting article. But how does this square with the article in the NYTs that declared Canada’s M/C to be top dog? Can we say definitely that income gains have been largely front loaded since at least the end of the seventies then?Signed one confused citizen and news consumer.